Home > News > News > The One – The Only – The Original – CATS! The One – The Only – The Original – CATS! 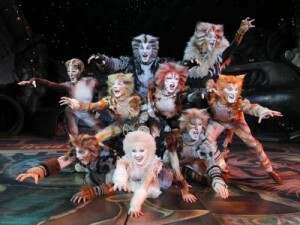 CATS is the longest running, most popular, North American touring production in history! There’s no better way to introduce your family to the wonders of live theatre than with the magic, the mystery, the memory of CATS. What began as a musical about cats, after Andrew Lloyd Webber picked up a book of poems by T. S. Eliot in an airport bookshop, has become one of the longest running shows in Broadway’s history. Winner of seven Tony Awards including Best Musical, CATS features 20 of Andrew Lloyd Webber’s timeless melodies, including the hit song “Memory.” It’s America’s favorite family musical, and a memory to last nine lifetimes. Friday, March 9 – 8:00 p.m.
Saturday, March 10 – 3:00 & 8:00 p.m.